Dear friends — sometimes being a quirky failure who survives ought to be enough. Personally, I come from a longish line of failures. My dad was a failure. A terrible one. So was my mom. My mom’s mom didn’t make it as a ballerina and taught dancing and French instead. My paternal grandfather’s parents failed at farming so badly that they died in Norway, and my grandfather came out to Seattle as a penniless orphan. That all sounds awful, doesn’t it? But my relatives were actually really cool people who were smart and talented and good at alot of things. Well, good at a few things. My grandmother was a great teacher and she was one heck of an accordion player. My mom could edit the bejeesus out of any sort of writing. And my dad believed in business ideas and in innovation, and he talked about the future of cable in the early 60’s. My family were — and the alive ones currently are — quite weird. From what I can see, weirdness is great, and protects you in certain ways. Even though you never can fit in, you will always find something in the world to interest you. My family did and does. I do. 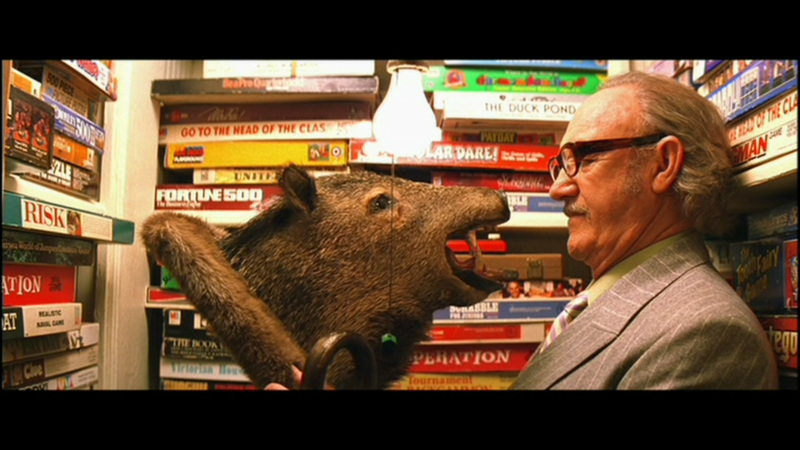 Which is why I feel a deep fondness and respect for the kooky characters of Wes Anderson’s films. Rushmore reminds me of how weird private school was for both me in my day and my adult progeny, when they spent some time in private-school land (of course public school is weird too). It also reminds me that are are rewards to be had in the field of education even if you are a terrible student — which both of us were at certain points. I don’t know why but Royal Tenenbaum always reminds me of my father — big on promises, and long on disappointment — and yet a remarkably vibrant and funny person (when you didn’t want to kill him). 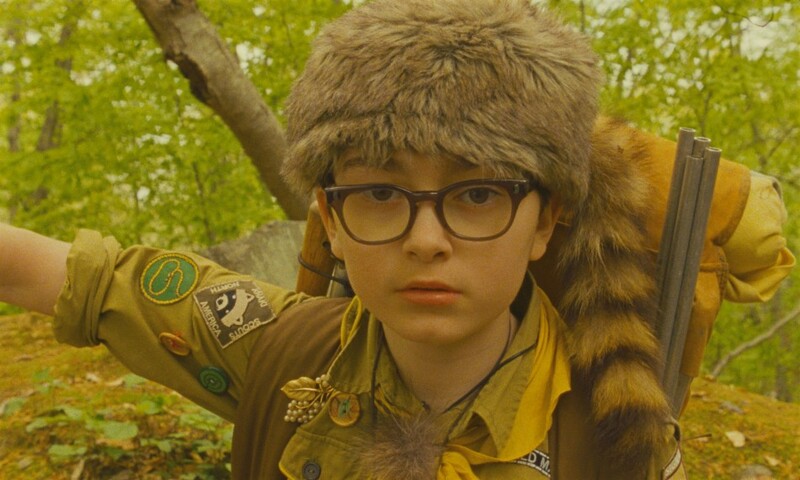 And Moonrise Kingdom reminds me of me and my husband. My husband is brilliant, nerdy, and nuttily brave. Not athletic but very resourceful. And me…. 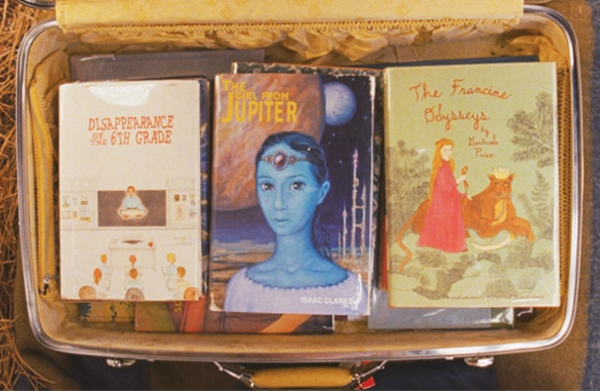 well… I’m just angry and perpetually carrying a suitcase filled with books. Yup. That’s me. None of these people “amount” to anything. Thank God we don’t have to. We just have to live and try to find our quirky way through life. Here’s wishing you a week filled with weird amazing wonderful things. Things that give you hope. Things that give you pleasure. Or things that just interest you. That’s good enough. Here’s one quirky non-success saying I wouldn’t have it any other way. But I’m not ready to write a memoir just yet–I still have more failures to accomplish. haha! me too! thanks so much for this, and have a weird wonderful day!